← The Moskovita Memoir–this fall from OSU Press! We have had an interesting time over the past three years, learning how an assumption we made allowed us to ignore some evidence that we really should not have ignored. It took Bob Hitz, with his interest in finding the roots of the U.S. Exploratory Fishing and Gear Base and its premier research vessel, the John N. Cobb to make us realize how we can be misled by what we know. We knew the Pacific Explorer didn’t make it to the Marshall, Mariana, and Caroline Islands, to fish for tuna. So we did not seriously look the evidence of how intent the Americans were about replacing the Japanese tuna fleet in the eastern tropical Pacific. 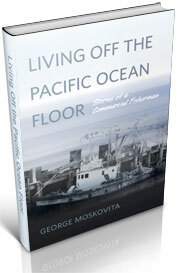 The Pacific Explorer, the world’s largest fishing boat, only made two voyages. There were plans for a third, to the islands, but the Explorer was quickly bogged down in post-war politics. Nick Bez was an ardent Democrat (and we all remember the picture, don’t we?) and bids had never been leased for the Explorer project. The project had a taint of political cronyism. After the war, the American military escalated their involvement in the Pacific (including nuclear testing). There was also a push to expand American fishing for tuna deep into the equatorial Pacific, where the Japanese had developed a lucrative fishery in the 1920s. 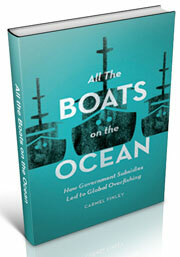 A line of American fishing boats would help cement the claim to the waters. And if the American boats could find and claim the tuna quickly enough, they might be able to prevent the Japanese from returning to the waters to fish once a peace treaty was signed. At least that’s what Wilbert McLeod Chapman, the Washington ichthyologist, who rose to prominence on the issue of expanding American tuna fisheries deep into the Pacific, thought. As we more closely re-read Chapman’s correspondence and public papers from this time, we realized we had overlooked an important series of events. Chapman thought the traditional American fisheries of salmon and halibut were “mature,” by which he meant there would be little growth potential in the future. With the decline of California sardines, more purse seine boats from California were moving into the tuna fishery in places like Costa Rica, in competition with the bait boat fleet. American boats needed new water to fish. Thanks to Bob, we now know there were serious plans to send the Explorer to the Marina Islands. One of its four satellite vessels, the Oregon, did make an exploratory run but the tuna were elusive. By the time the Oregon got back, Bez’s many enemies (primarily the San Diego long line fleet, but let’s face it, there were others) had succeeded in keeping the Explorer tied to the dock until it could be sold for scrap. 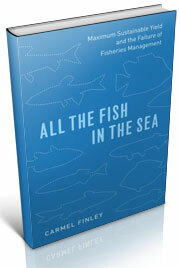 The state and federal fishing agencies held a big conference on tuna in Los Angeles on Oct. 7, 1949. (We found an account of the meeting in the papers of Richard Van Cleve at the University of Washington special collections). It was Chapman who compared the waters of the Pacific to the Great Plains, and tuna to the buffalo. The tuna were were much harder to find–and to understand than the buffalo. But the point of all this is to say that we need a lot of different stories and accounts when we attempt to write history. 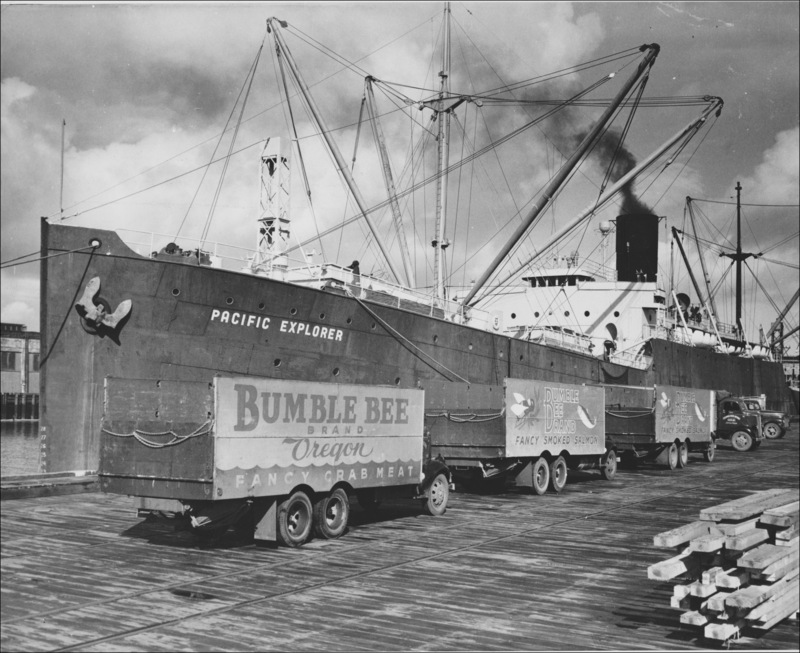 If Bob hadn’t dug into the story of the boats, we would not have realized how serious Bez and Chapman (as well as many others) were about this American imperial push, using fish as a proxy to claim high-seas tuna and the island territories of the eastern Pacific. This entry was posted in boat building, Carmel Finley, Cold War, Fishing, History of Science, History of Technology, Nick Bez, Overfishing, Pacific Explorer, Pacific Fishing History Project and tagged tuna, Wilbert Chapman. Bookmark the permalink.